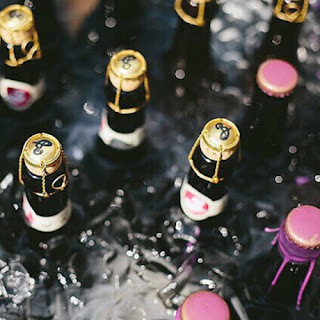 "Every year Brooklyn Brewery’s Mash Tour takes a new and delicious form - from concerts, dinners and beer festivals to comedy nights and some seriously standout parties around the world. This year sees the Brooklyn Brewery team taking on one grand undertaking: Beer Mansion, landing in London on Friday 12th May and Saturday 13th May, at MC Motors, Dalston. Beer Mansion is a fully immersive beer festival unlike any other. Bringing together some of Brooklyn Brewery’s favourite community friends for two days of floor-rattling beats, food, tech, art, games, a pinch of astonishment and of course, beer - the interactive, multi-room experience is a celebration of the wide world of beer and all it touches. Brooklyn Brewery has created a different kind of beer festival. The usual tropes are here – a ticket to gain entrance, a glass for one’s beer and many tasty hand-crafted beers; but there is no massive white tent, no fluorescent lighting and no vacuous convention centre. Serving some of the brewery’s favourite beers; each room at the Beer Mansion will fit within a unique flavour profile relating to the beer that they’ll be pouring, getting guests to think deeper about what they’ll be drinking and why it tastes like it does. Crossing the threshold, with beer in hand - guests will choose their own journey through the five rooms of Beer Mansion. Whether they bask in the tropical haven of the Tart of the Tropics room complete with fruit-forward tropical beers, palm trees, and Hawaiian shirts, or are plunging into the gothic, roasty, and toasty Dark Room - everyone welcomed at the Beer Mansion can be sure to encounter plenty of oddity and perhaps even the elusive Brooklyn Brew Master Garrett Oliver, who’ll be flying over from New York especially for the occasion. Not wanting to keep all the fun to themselves, Brooklyn Brewery has enlisted the help of local brewing friends as well as international sister breweries to serve up their finest beers, including: 40 ft Brewery, Redchurch Brewery, Forest Road Brewing Company, Thornbridge Brewery, Nya Carnegie and EC Dahls. Bringing some bite to the experience, neighbourhood food favourites will also be there - with Voodoo Ray’s serving up slices and quesadilla connoisseurs Killa Dilla adding some Mexican heat; whilst Andrew Clarke (founder of Glastonbury and currently Chef Director at Brunswick House & the soon to launch Bastien) will be creating all kinds of surprising food and beer combinations. At the Beer Mansion, the only mistake you can make is to sit still - there’s no guide book or a map to lead you, you’ll have to let your taste buds do that. By purchasing a ticket, partygoers get a tasting glass, access to beer tastings and plenty of surprises!"